This is the beginning of the spending spree. Have attended the UBID office twice in the last couple of weeks. The first time the admin was sitting gabbing and the second time he was helping stuff the water bills in envelopes. Is this why he can’t respond to correspondence? We have an admin who has no government experience and appears to lack many of the qualities needed to run a government office. Now we’re are going to pay for another staff member possessing the qualities that should have been met when they interviewed for the present admin. Look at what is expected for this new position – the current admin doesn’t meet the standards. We’re gong to be paying for someone to do the admin’s job! The senior management team – there is one admin and an assistant. Now there is a senior management team? The current admin doesn’t want to collect delinquent water tolls and parcel taxes. Wanted to hire a collection agency. Delinquent tolls $35,000. in 2015, $54,000. in 2016 and $74,000. in 2017, with the current admin claiming he hasn’t had time. Can’t video record the meetings by turning the camera on and off so now we are paying for a guy to come in and turn the camera on and sit there until the end and turn it off. Still takes 2 weeks to post the video. Can’t answer simple questions and responds with “I’m not going to argue with you”. Too busy to answer correspondence. If you go to the office you’re told to make an appointment or send an email. Emails are ignored. Gets visibly upset when questioned by a trustee. Claims to be badgered. 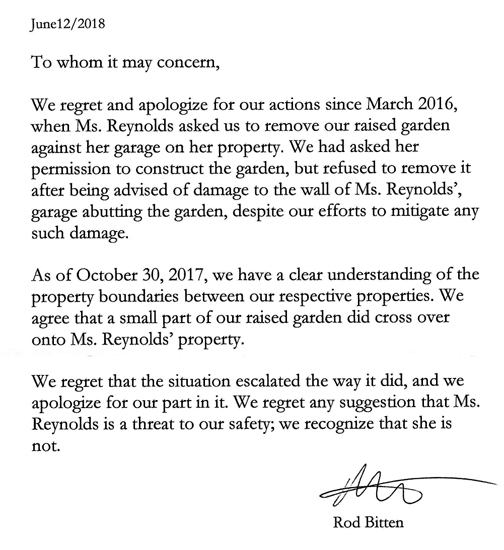 Refuses to admit to mistakes – lied about correct figures being posted for the water filtration project. Incorrect ones at the Mar. 1 and Mar. 3, 2018 open houses and correct figures not posted until Mar. 12, 2018. 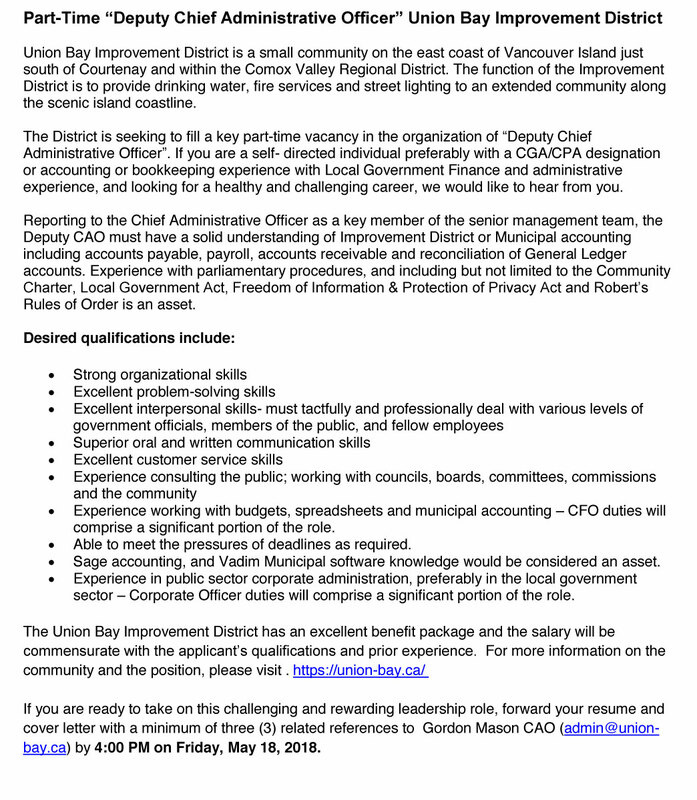 Lacks experience working with councils, boards etc. No experience and completely ignorant of parliamentary procedures, Community Charter, Local Government Act, Freedom of Information & Protection of Privacy Act and Roberts Rules of Order!!! Absolutely clueless regarding Freedom of Information & Protection of Privacy Act – zero training or interest. Previous Post Bruce Jolliffe Director (Electoral Area ‘A’) Comox Valley Regional District confirms tax dollars collected for services stay within the service area.